On Saturday 7.12 Miss Mo and I had the privilege of attending the musical 'Mustalaisleiri muuttaa taivaaseen' at Lohja's Theatre. I love music and I love theatre. 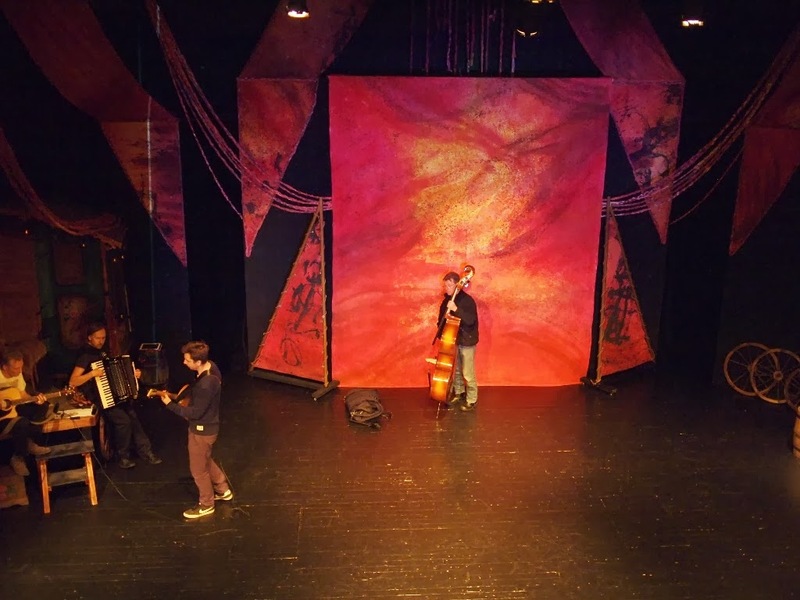 The perfect marriage between music and theatre is a musical. 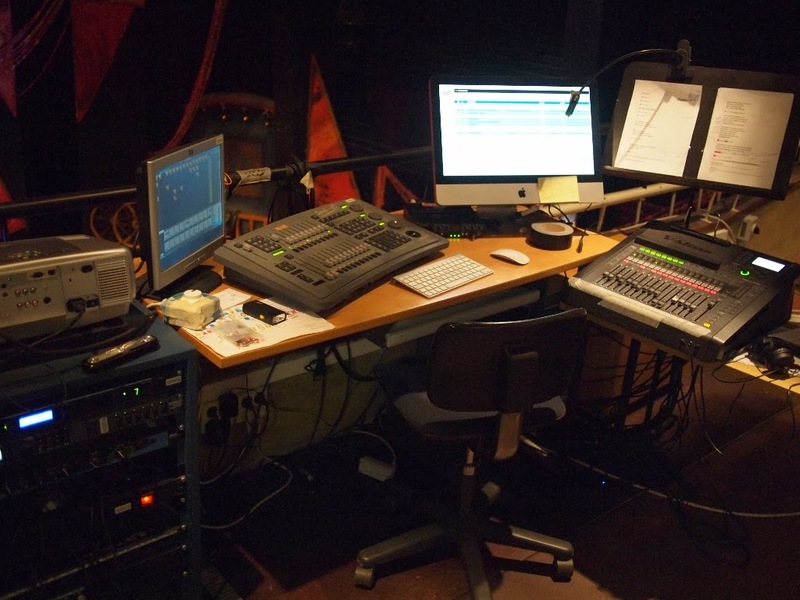 What I love most about a musical? 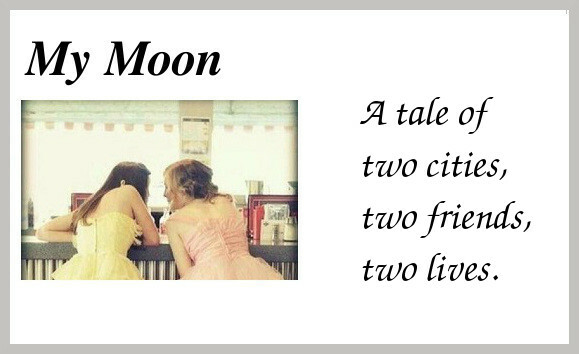 The perfect blend of music, dancing, singing and acting. For me it is the purest form of entertainment and Mustalaisleiri muuttaa taivaaseen did not disappoint. On the contrary, I was really impressed by the quality of the performances, the intimate stage, the costumes, the music and the sound and light. 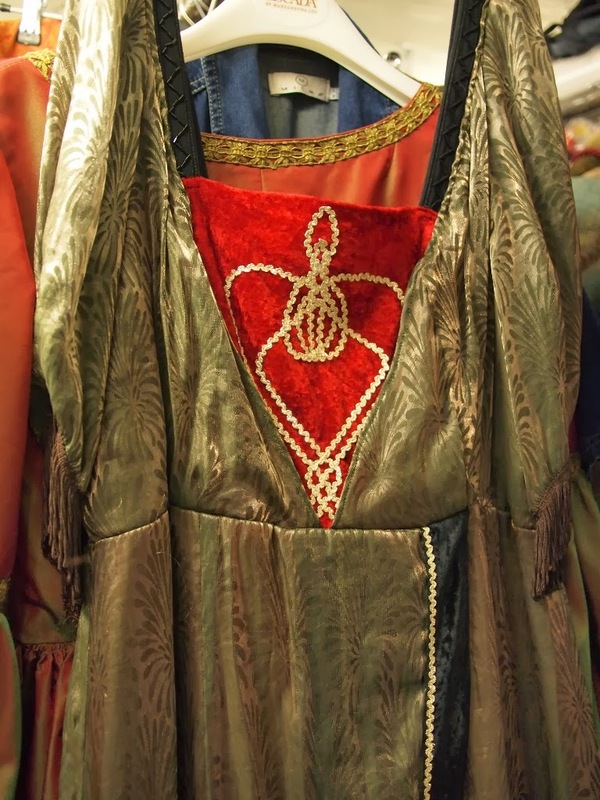 Everything was in harmony and the cast seemed as intimate as a family which, considering the fact that there are several couples and families involved in the musical, should not be much of a surprise. My love for musicals started when I attended the musical 'Miss Saigon' when I lived in Holland. I was completely and utterly blown away by the acting and how singing added so much more emotionally. I've always loved to sing myself and so I understand, to a certain extent, how moving singing can be and how it can convey emotions which are hard to express with just acting. 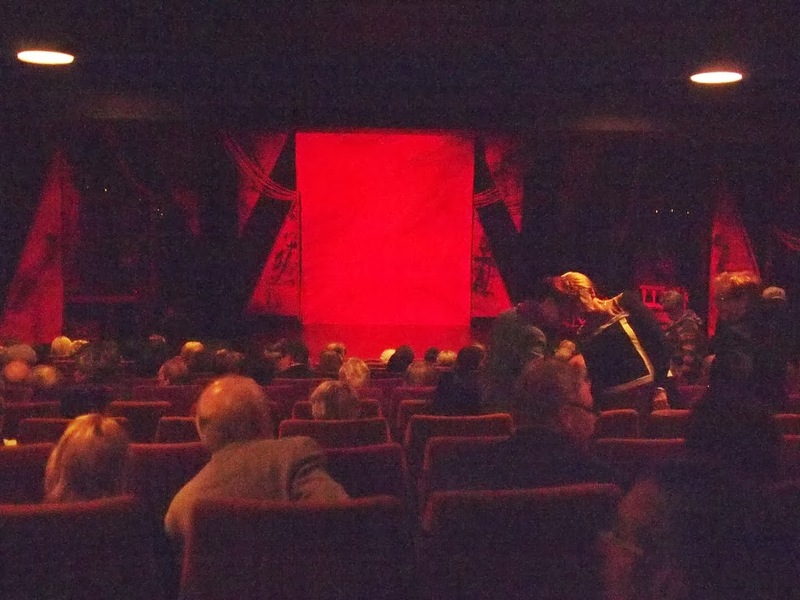 Last year I attended the musical Fiddler on the roof at Helsinki City's Theatre. 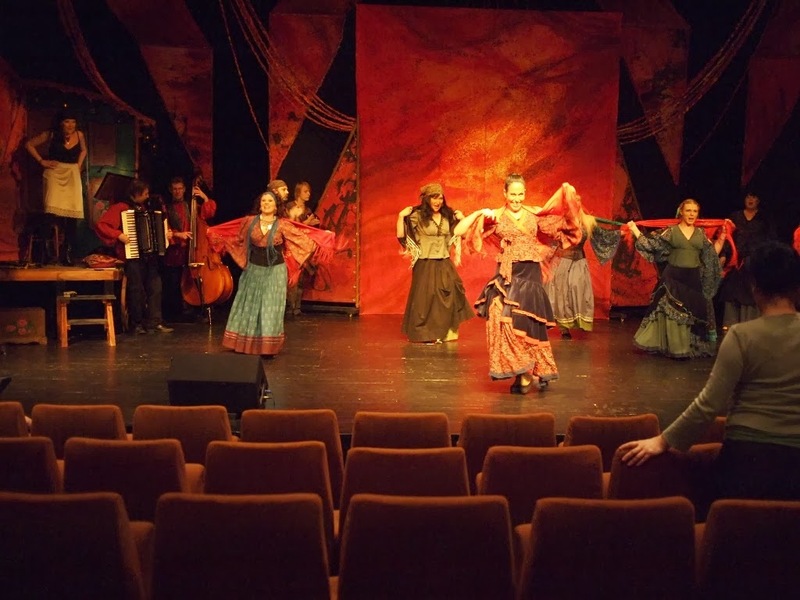 Fiddler on the roof and Mustalaisleiri muuttaa taivaaseen are similar in that they are both musicals about gypsies and love. 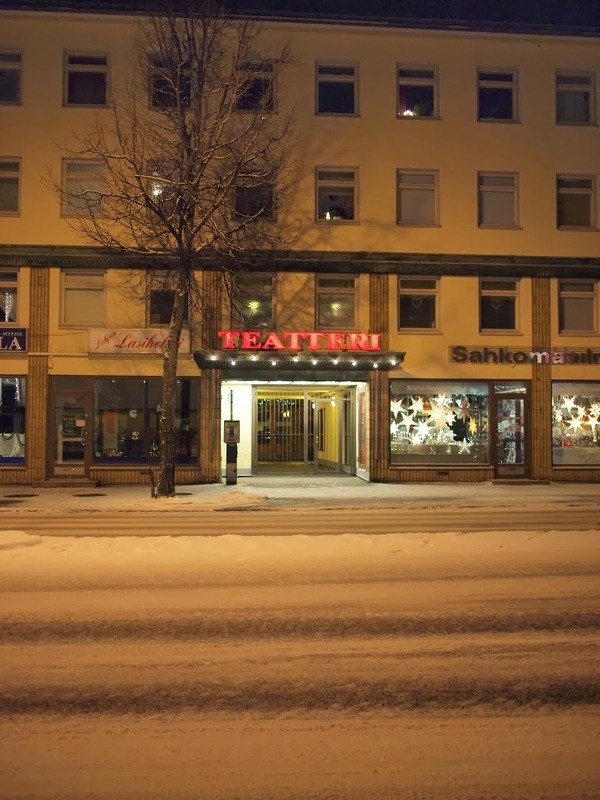 However, Fiddler on the roof is a much bigger musical and takes place at Helsinki City's Theatre whereas Mustalaisleiri muuttaa taivaaseen is slightly smaller and takes place at a smaller theatre. Even though both musicals were excellent, I must admit that I prefer the more personal and intimate atmosphere of Lohja's Theatre. Miss Mo and I arrived an hour and a half before the start of the musical so we could have a peek backstage and get an idea of what is involved in making a musical of this magnitude. 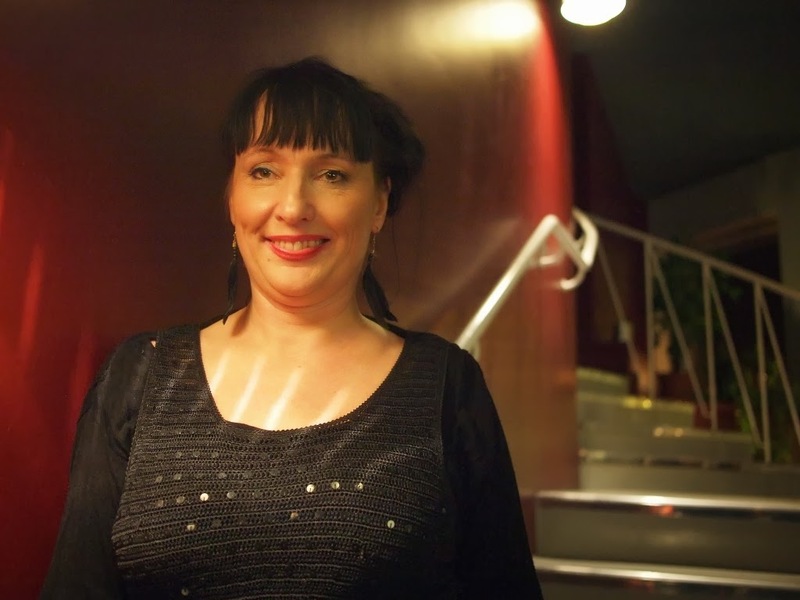 We were warmly welcomed by Lohja Theatre's secretary, Inkeri Paananen. 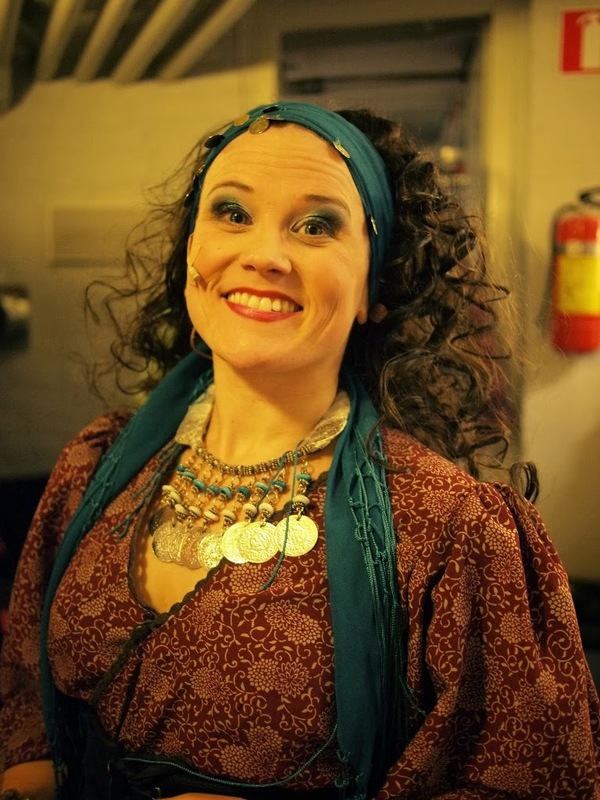 The director of the musical, Sari Niinikoski, led us backstage where everyone was getting ready. Some members of the cast were getting dressed, some were putting on make-up, some were adjusting their wigs whereas another was still walking around in his underwear. 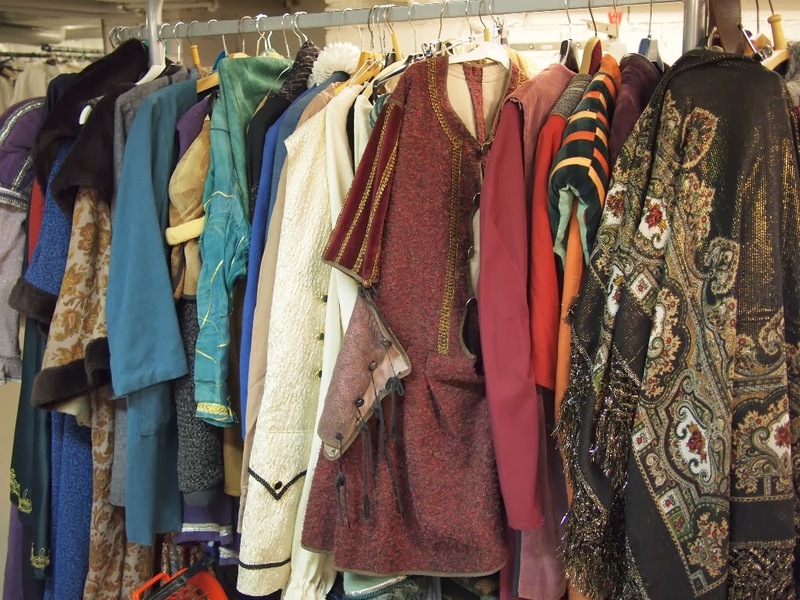 We got to walk around the wardrobe area and were amazed by how professional everything was set up by costume designer Kati Heikkinen. 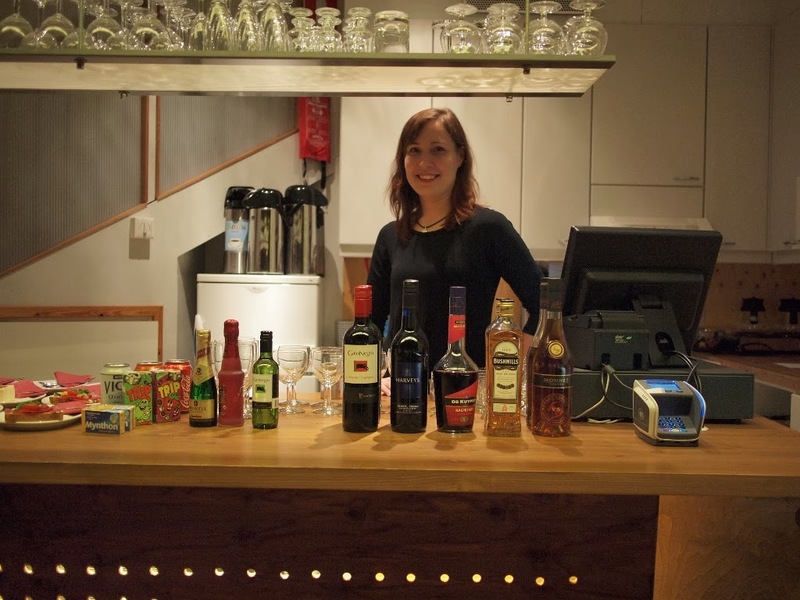 You'll find that many members of the cast have dual roles and Kati's other role is as the lady who runs the cafetaria. 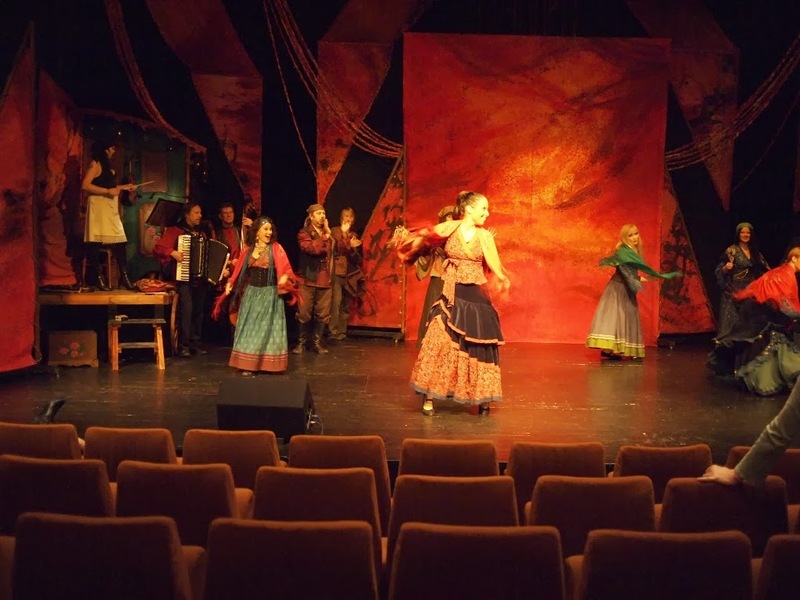 Whilst showing us around Sari told us some of the history of Lohja Theatre. 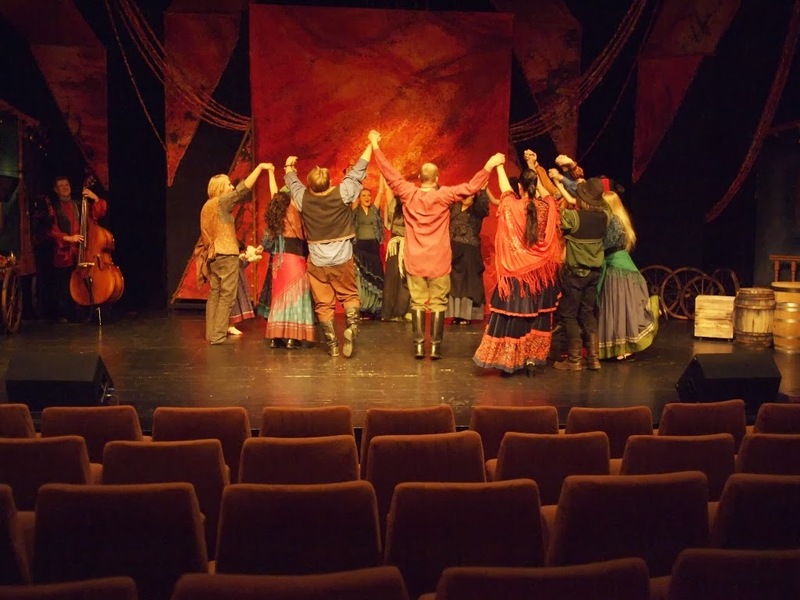 Lohja Theatre is a professionally directed amateur theatre and has four permanent employees. Lohja Theatre used to be a cinema which seats 204. The space is intimate and inviting. In fact, we were so close to the stage that we could see everything including tears and sweat. It really added to the whole atmosphere. 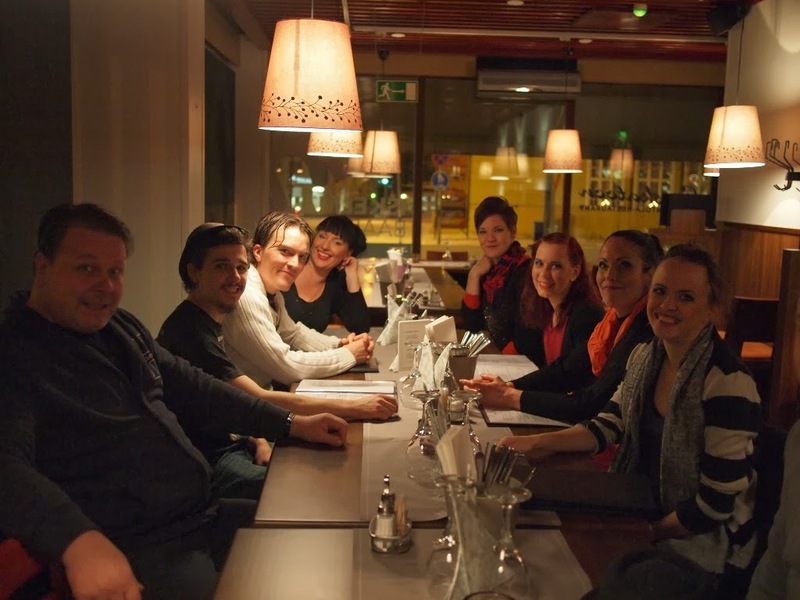 Sari also told us that she is directing Hiljaiset Sillat (Bridges of Madison County) at Mikkeli's Theatre. The show is starring Sami Saikkonen and Marjaana Viitanen and is running from 24.1 - 10.05.2014 so get your tickets while you can as I am sure it will be a big success! You can find more information on Hiljaiset Sillat here. Kirsi Kannas from dance school Uno Dos Tres is responsible for the choreography. She does this in cooperation with Sari. Kirsi has been a dancer for around 25 years and dances in the musical. I must say that the choreography was one of my favourite elements of the musical. 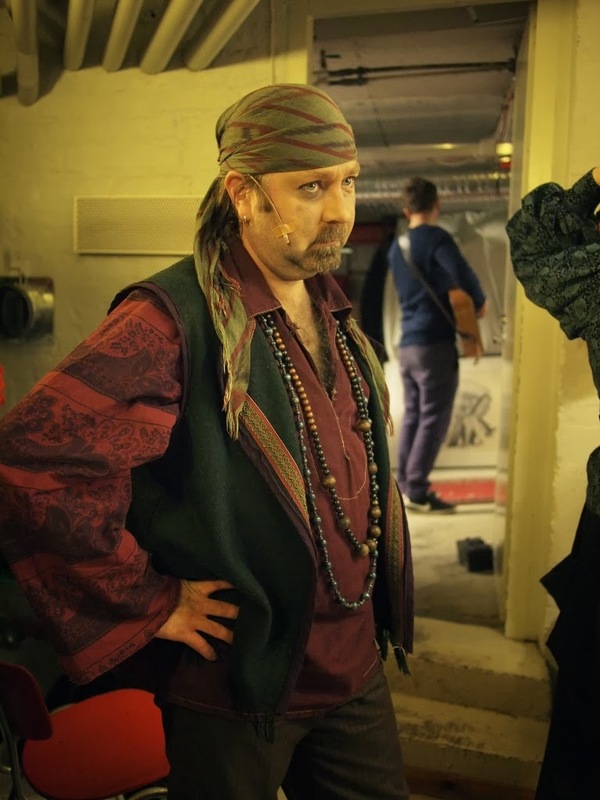 Fun fact: Kirsi's husband is involved in the musical, too! From downstairs we were led upstairs which is Tommi Rosnell's domain. Tommi is in charge of the lights and sounds. 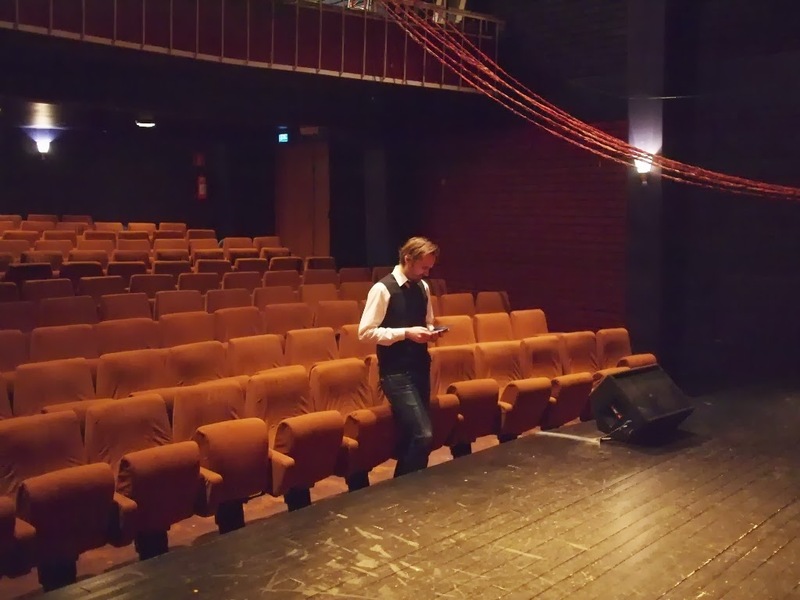 He works for Lohja Theatre on a project basis. 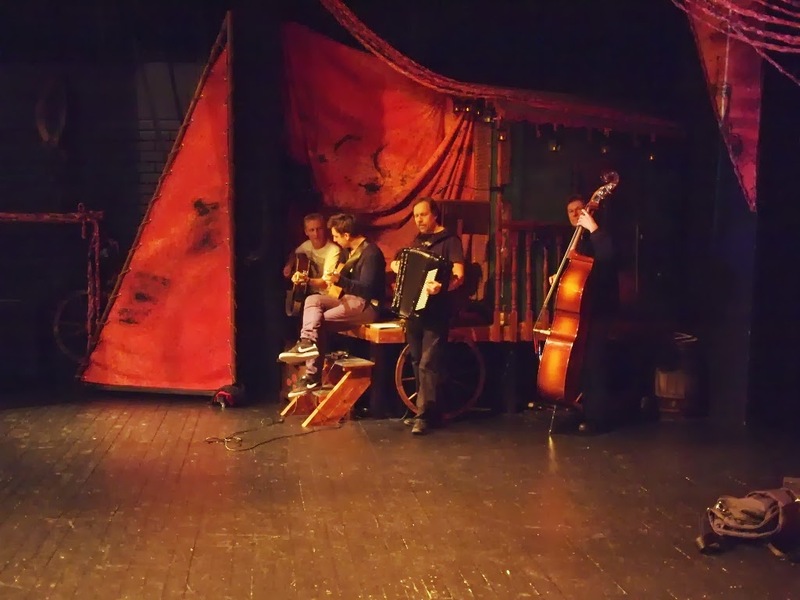 We asked about the acoustics of the old theatre and Tommi admitted it is a challenge but the intimate surroundings and atmosphere make up for that. 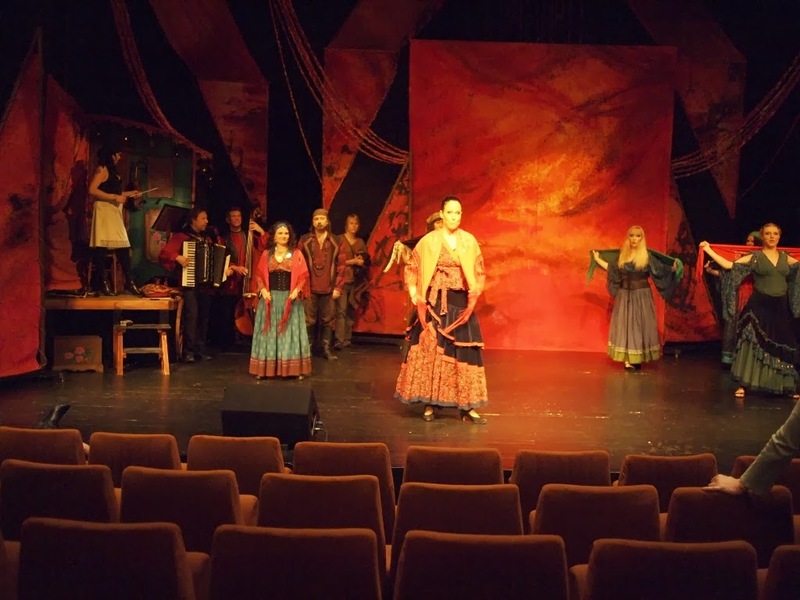 He also told us that the equipment provided by Lohja Theatre is of high quality which just goes to show that Lohja Theatre may be small but does not skimp on important things. From upstairs we went back downstairs to the stage where the band was warming up. Antti Kajander is in charge of music. 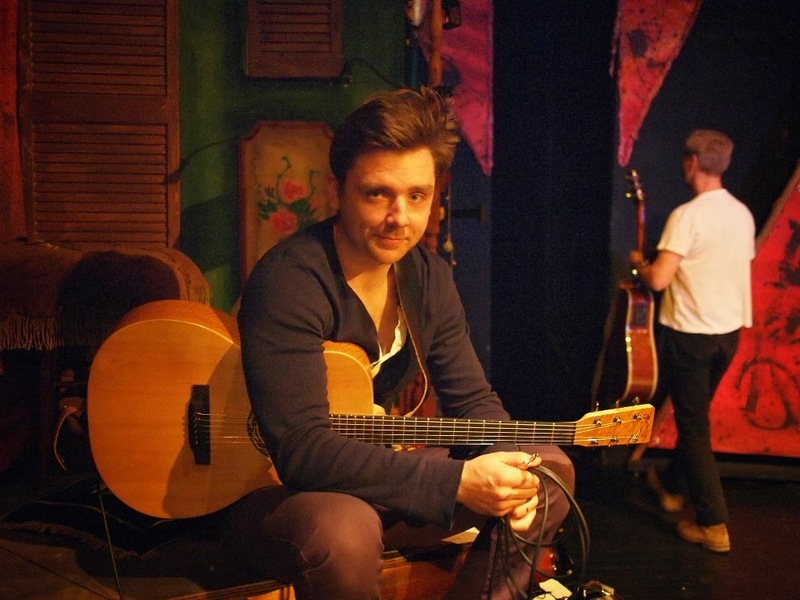 He has composed music and one song for the musical and plays guitar and sings. In his spare time he is active in his band Idle Wolf. 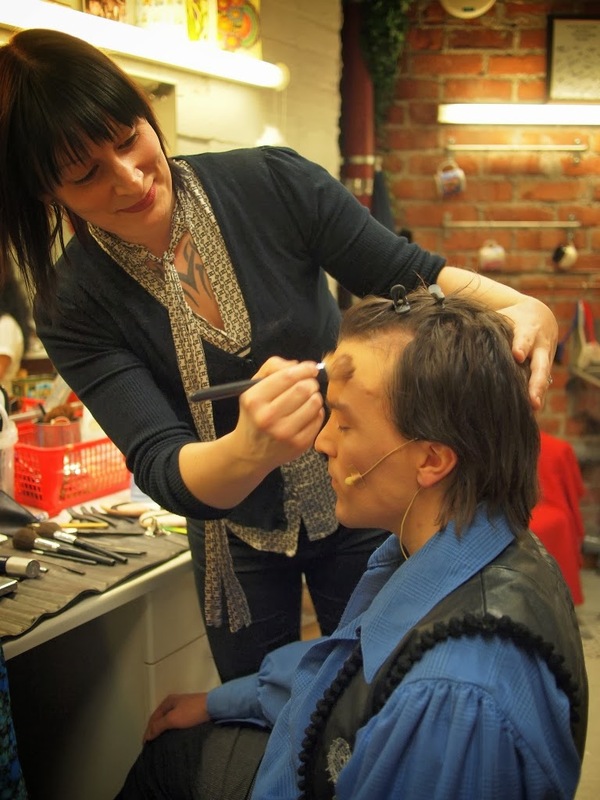 Antti started working for Lohja Theatre two years ago. His wife, Riikka Kajander, is also involved in the musical as a dancer. 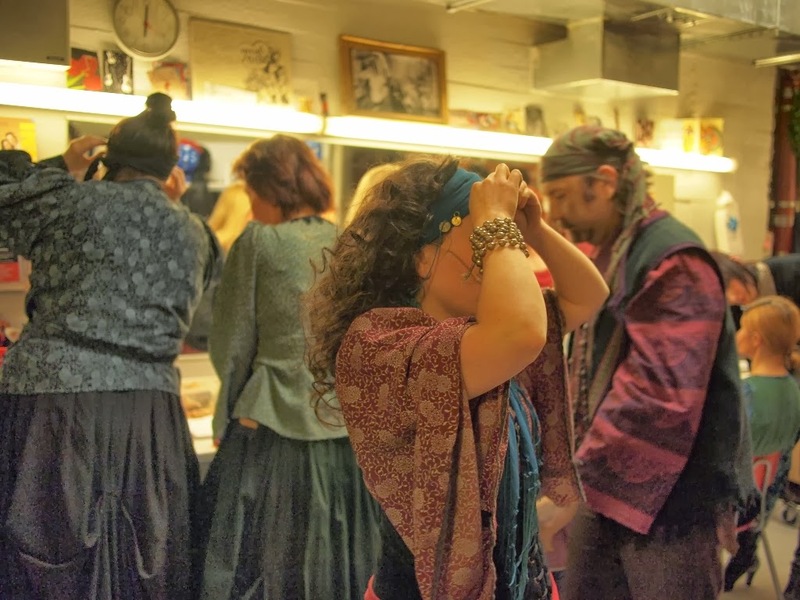 We were curious as to whether the cast is superstitious and has any pre-show rituals as we have heard stage actors usually have. 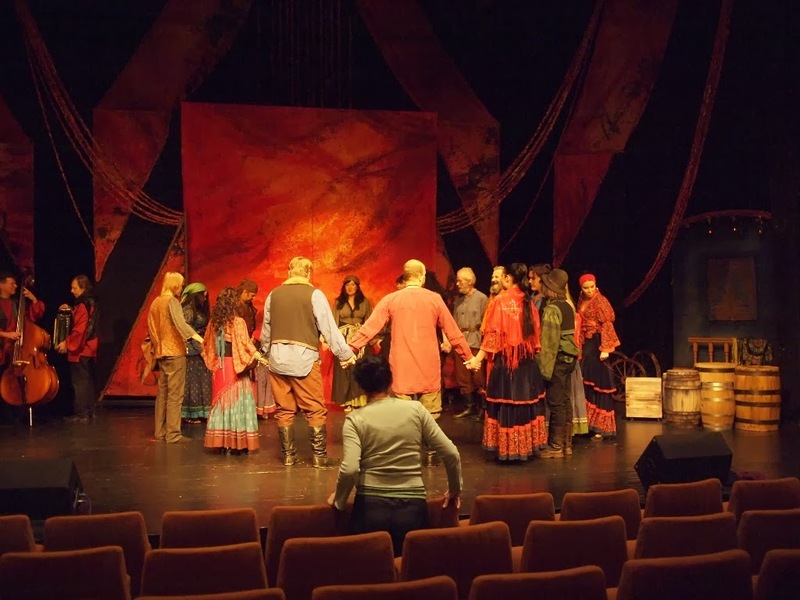 We were told that before the show the members of the cast stand in a circle, hold hands, choose a word and yell said word together. It's their way of releasing stress and anxiety before the show. Sari also told us that before the show shoes should not be on the table, whistling is not allowed and walking under the stairs can also bring bad luck. 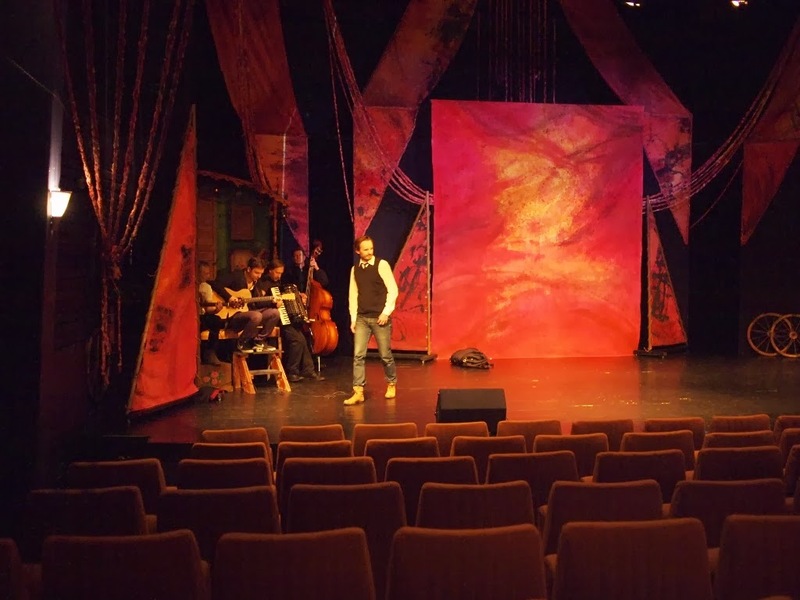 For every show at Lohja Theatre Sari tries to include art from local artists. 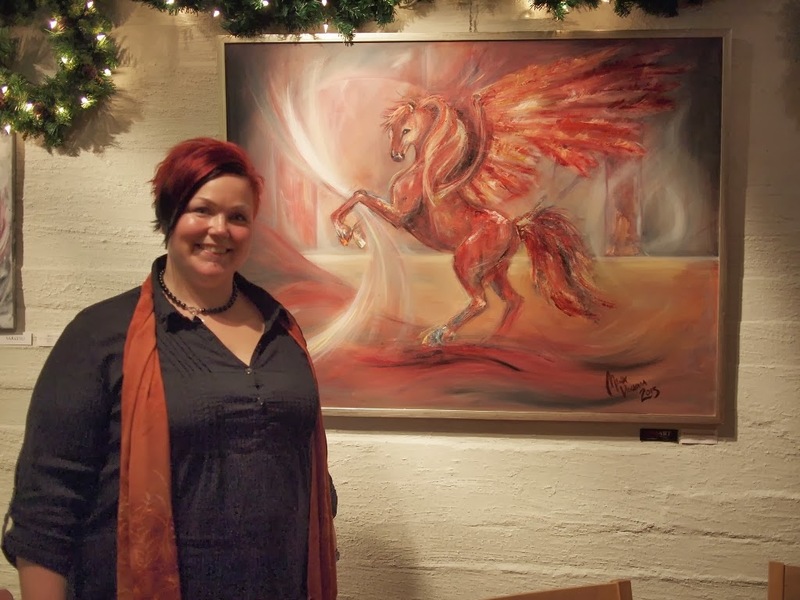 Horses play a big role in Mustalaisleiri muuttaa taivaaseen so local artist, Milja Viljamaa, displayed her art exhibition featuring paintings of horses, Tuuliharjat, at Lohja Theatre's cafetaria. 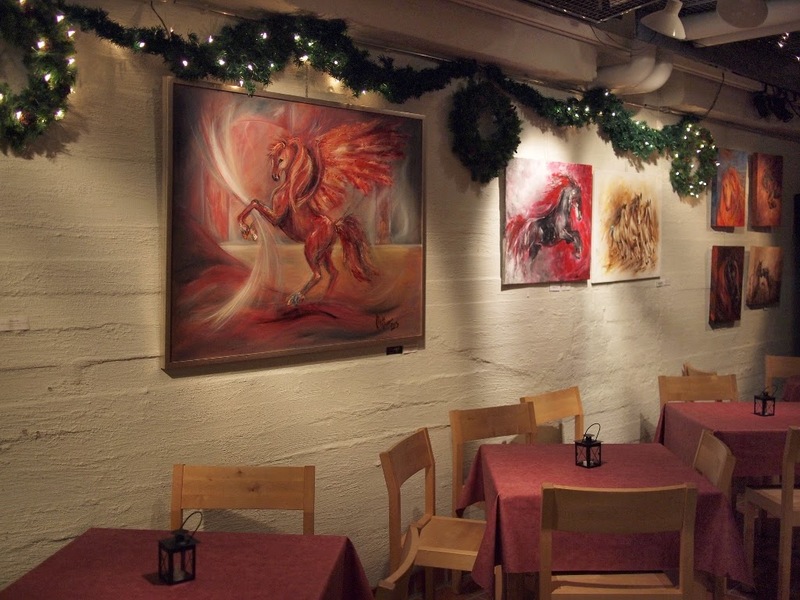 The art exhibition and shows opened at the same time and almost all paintings have been sold. One was bought by no other than Mustalaisleiri muuttaa taivaaseen's director, Sari. Milja's company also provides all the posters and brochures to Lohja Theatre. Milja is a very talented lady indeed! 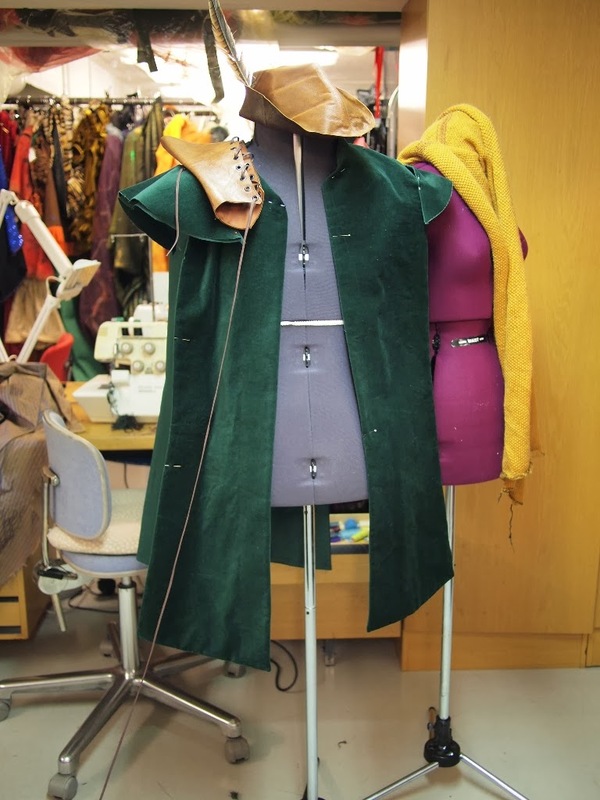 If you want to find out more about Milja's work go here. 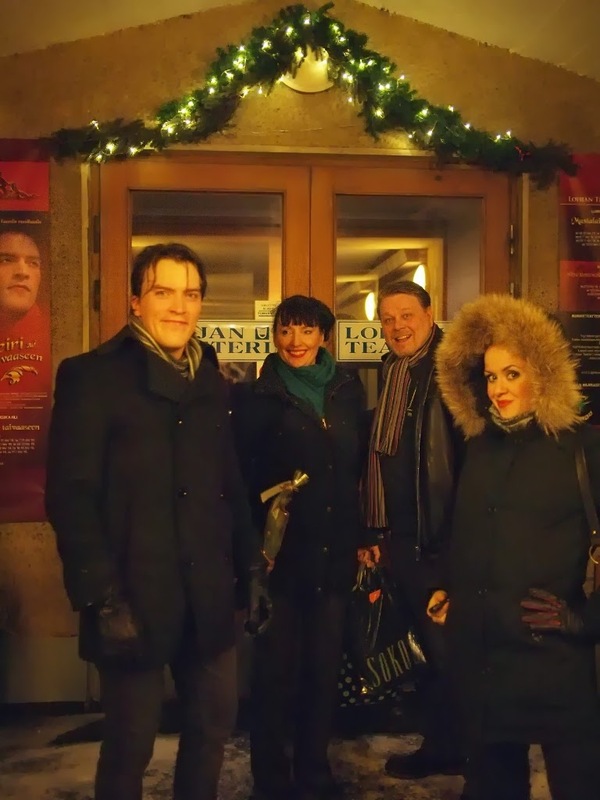 We were curious as to what members of the audience thought of the musical so we interviewed two Lohja locals, Kati and Veli Nuutinen, who graciously and patiently answered our questions. 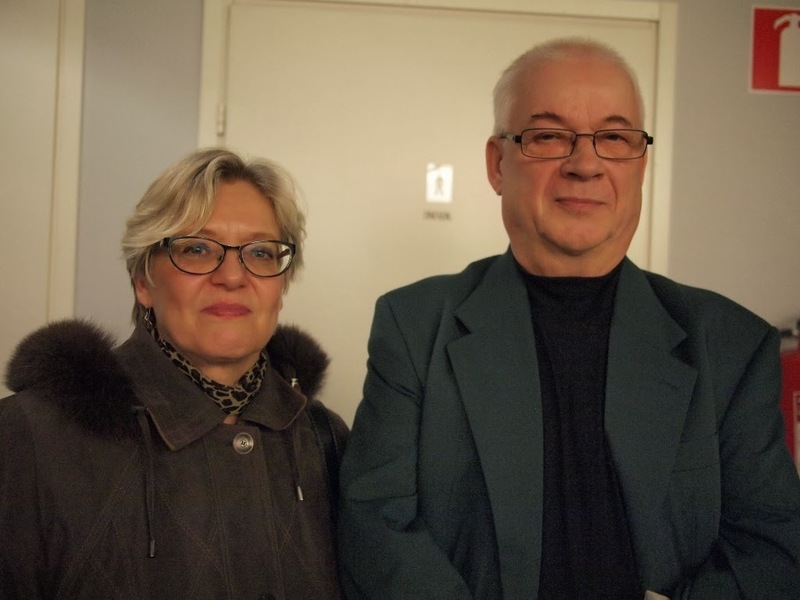 Kati and Veli attend every show at Lohja Theatre and often bring their grandchildren whenever there are shows for children. Of Mustalaisleiri muuttaa taivaaseen they said that they loved the whole musical and were especially impressed by the choreography and the costumes. 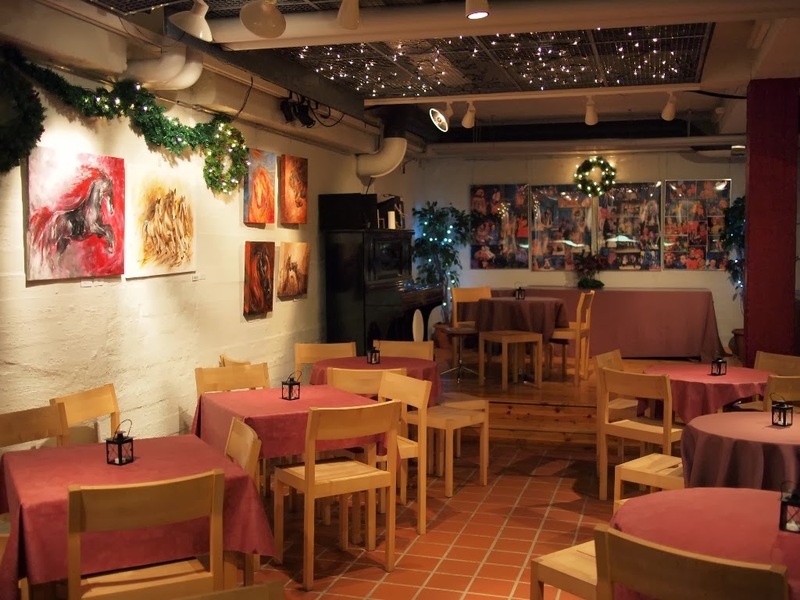 The cast has an after show ritual and this evening they went to a local Lohja restaurant called Saskatoon which Miss Mo and I have visited as well. While leading man, Teemu Alanen, was waiting for his food to arrive, we managed to interview him. Teemu moved from Naantali to Lohja for his dream role as Zobar in Mustalaisleiri muuttaa taivaaseen. He auditioned for the role and Sari saw what we saw, namely that he is perfect for the role. Teemu told us that Mustalaisleiri muuttaa taivaaseen's shows sold out very quickly which prompted Lohja Theatre to add two additional shows. The additional shows followed suit and sold out very quickly as well. Miss Mo and I were very privileged indeed to get tickets! 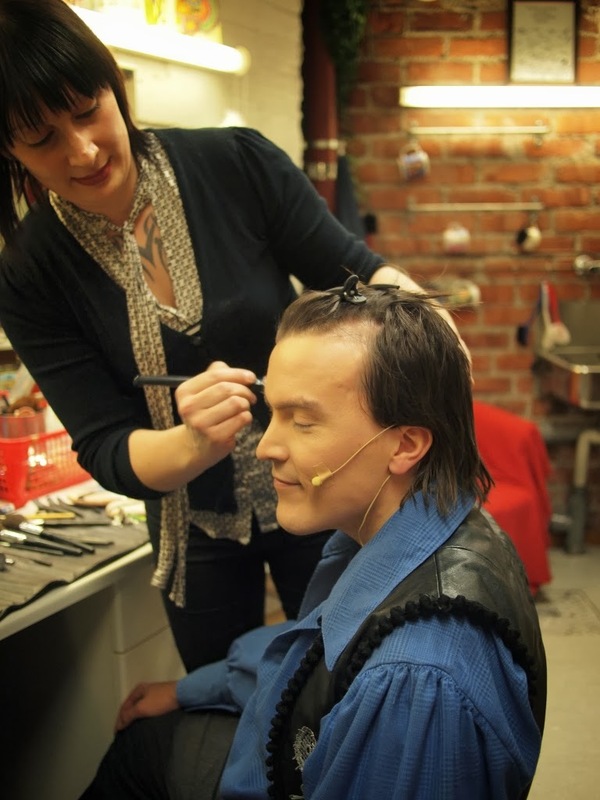 Teemu told us he was very happy to get the role of Zobar as he had heard many good things about Lohja Theatre. 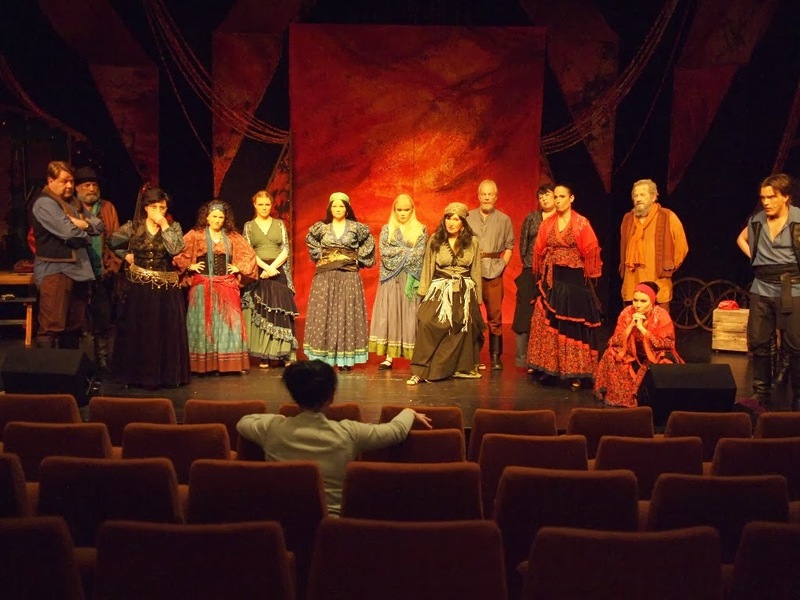 He had heard the director is very good, the costumes and choreography top notch and that Lohja Theatre is one of the highest quality amateur theatres in Finland. He was also surprised to find out that the musical has dancers. He had never been in a show with dancers before. That just shows how professional a small theatre like Lohja Theatre can be. Lohja Theatre may be small but it is up there with the bigger ones! 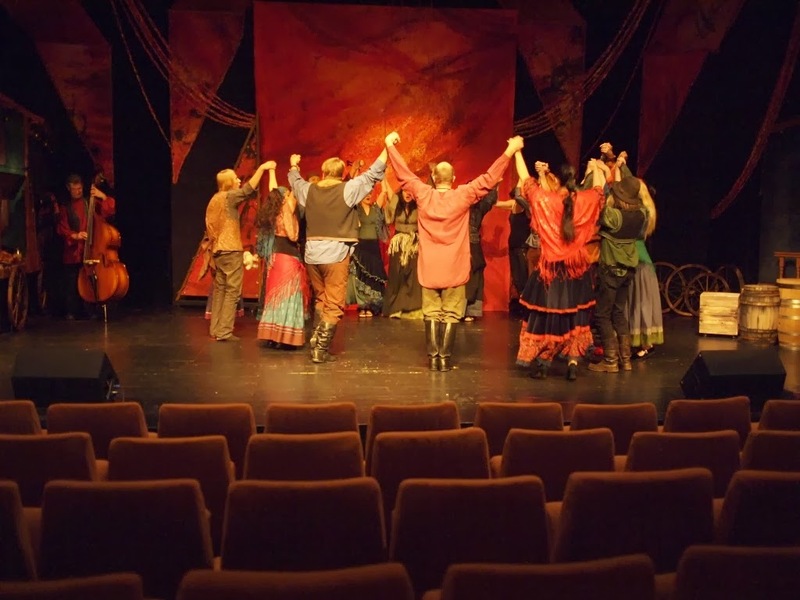 Goodbye Lohja Theatre and your wonderful employees. I am sure we will meet again soon!